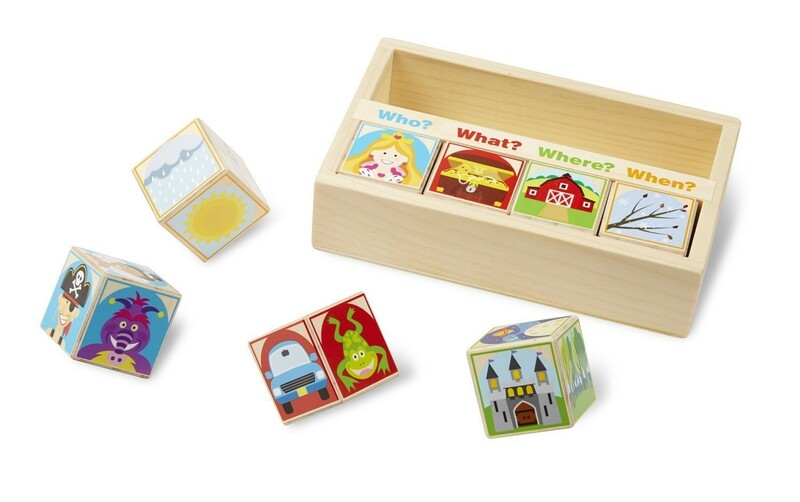 The language development game comes with 8 color-coded blocks that feature 6 different who, what, where, or when pictures to inspire a child tell endless stories! 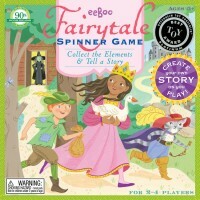 A witch bringing a birthday cake to the circus in the rain? 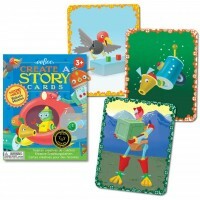 It could happen if you play the story telling blocks game! 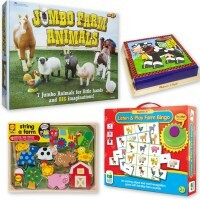 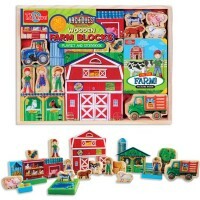 Wooden Story Blocks 8 pc Story Telling Set is a great toy to develop language and imagination for preschoolers. 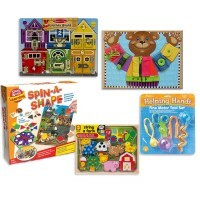 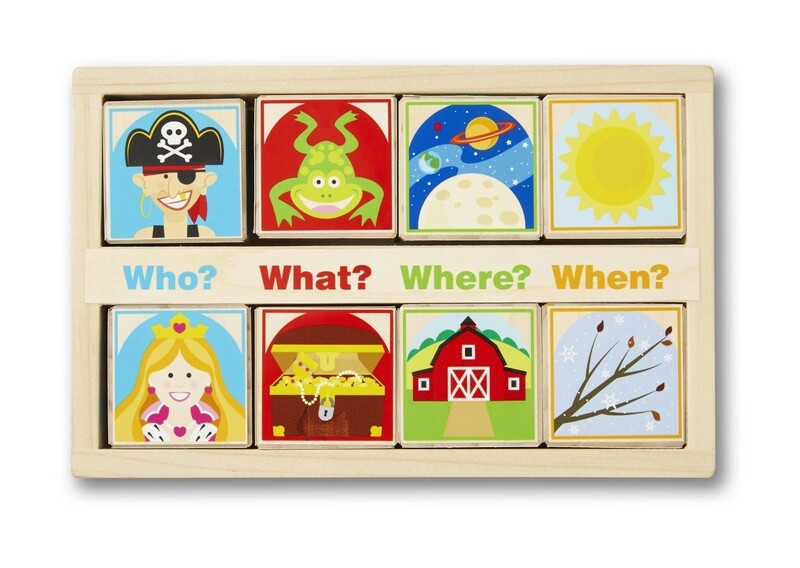 This Melissa & Doug's set of 8 color-coded wooden blocks features six different who, what, where, or when pictures. 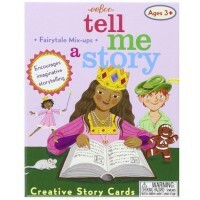 The story telling game can be played by one or two players. 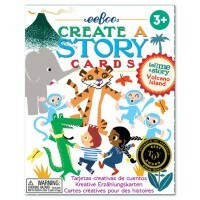 This tell-a-story toy inspires endless creative combinations. 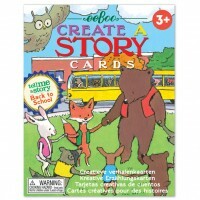 The sillier the combination, the funnier the story! 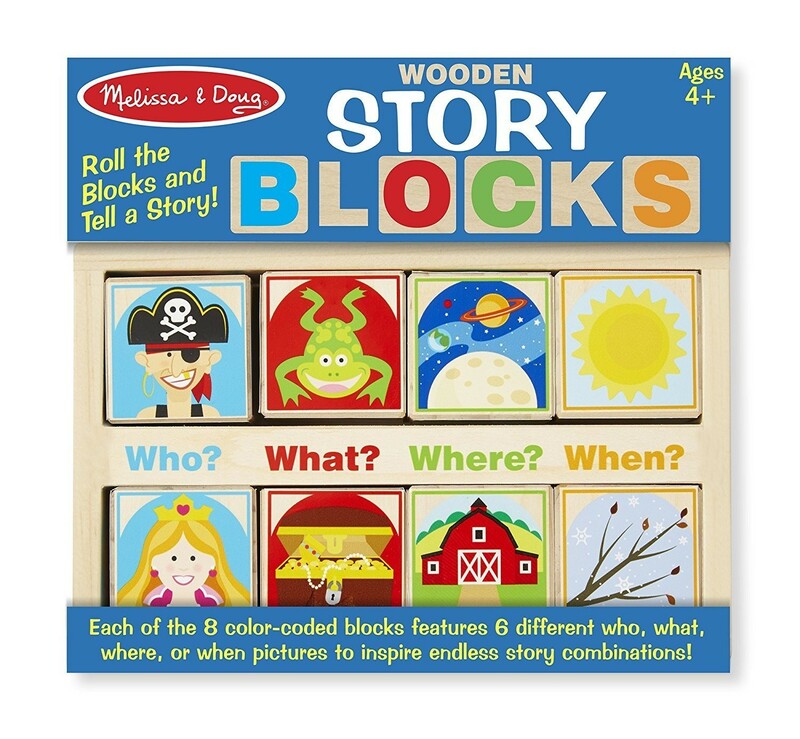 To play this game you need to roll one or more blocks from each category, check the pictures that land face up, and make up your own story about them. 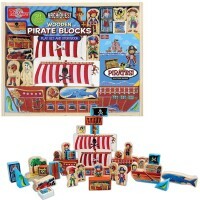 Roll the picture blocks and tell your own story! 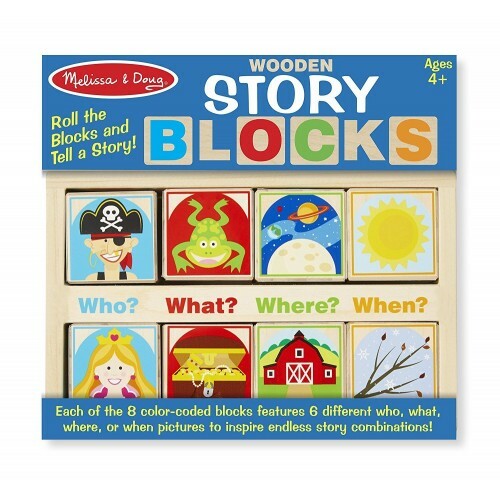 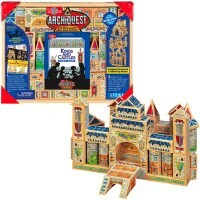 Dimensions of package 6.6" x 1.9" x 7.1"
Write your own review of Wooden Story Blocks 8 pc Story Telling Set.